Ichiro Suzuki is the gold standard for MLB players coming over from Japan. He is arguably the greatest pure hitter of his generation, and played spectacular defense during his prime in Seattle. Shohei Ohtani is the latest Japanese wunderkind to be brought over, but plays an extremely different style from Ichiro. Even so, MLB Twitter expressed a decidedly different view on its official Twitter account. But hey, they're both from the same country, so let's just say they look the same! Sure! That is obviously a pretty racist line of thinking, but something along that line went through the head of whoever runs the MLB Twitter page when they captioned this picture of Ohtani and Ichiro. Seriously, guys. "Be better" doesn't even begin to get at it. On a scale of 0-4, how many seconds did you think this through before tweeting it? I think we all get what they were going for. Two superstars out of Japan seeing themselves in one other. However, it's a brutal stereotype among people outside of minority groups that all members of that particular group look alike. 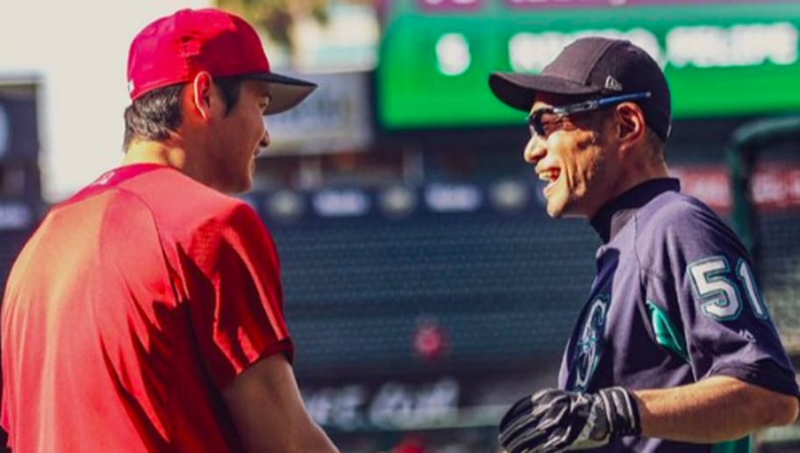 Ichiro and Ohtani are from different generations. Their styles of play could not be more divergent. And yet, here we are. It is an extremely bad look for the MLB. Considering the recent ​Josh Hader debacle. the opposite of what the MLB needs is more racially insensitive content.